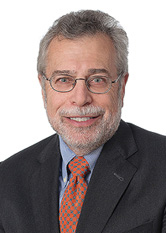 Alan Nisselson is on the panel of Chapter 7 trustees for the United States Bankruptcy Courts for the Southern and Eastern Districts of New York and has been appointed reorganization trustee in many large bankruptcy cases. Mr. Nisselson has also represented debtors, creditors, and official creditor committees in complex Chapter 11 cases. Mr. Nisselson has been appointed as a liquidating trustee for litigation trusts and has served as Special Master by the United States District Court in large and complex criminal cases. Mr. Nisselson serves on the panel of mediators for the United States Bankruptcy Courts for the Southern and Eastern Districts of New York. Prior to joining Windels Marx, Mr. Nisselson headed the Creditors' Rights and Bankruptcy Department at Brauner Baron Rosenzweig & Klein, LLP. Mr. Nisselson was an Assistant United States Attorney in the civil division of the United States Attorney's Office for the Southern District of New York and in charge of that office's bankruptcy section. He was also an associate at a well-known creditors' rights firm. Mr. Nisselson has lectured extensively at the New York County Lawyers Association, Seton Hall University Law School, the New York State Bar Association, and the New York State Society of Certified Public Accountants. Mr. Nisselson is quoted regularly on bankruptcy matters in publications such as Newsweek and The New York Law Journal. Since 2008, the Metro New York edition of SuperLawyers has acknowledged Mr. Nisselson's work in the Bankruptcy and Creditor / Debtor Rights category.